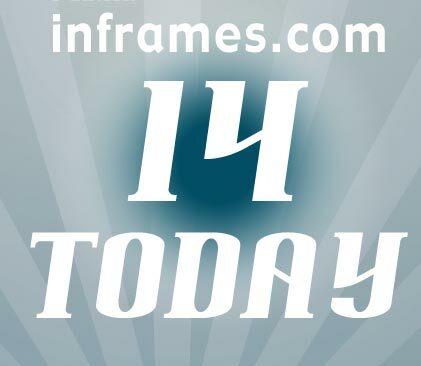 inframes.com ltd was incorporated 14 years ago today. Unsurprisingly, the company is pretty much unrecognisable from where it began, back in the midst of a dotcom boom when the dotcom bust was a long way ahead and the credit crunch hadn't been invented. The internet was in its infancy in 1999. We were still accessing the internet via modems using pay-per-minute dial-up connections, or ISDN if you were very lucky. Downloading a video was usually an agonisingly lengthy procedure. There was no such thing as mobile internet - even WAP-enabled mobiles were still a couple of years away. Home computers were plodding, ugly, grey lumps and laptops cost a small fortune. Most companies didn't own their own domain name, everyone was talking about the sensation that was lastminute.com and Lycos was still a force to be reckoned with in the search engine business. Looking back, it seems an almost embarrassingly primitive age. As a company, inframes is now well into its teens, and like most teenagers, it's hard to look back on our baby pictures without a groan of embarrassment. So we're not going to waste time looking back. There's never been a more exciting time to be involved in the world of creative internet technology than today, right now. So here's to the next 14 years.